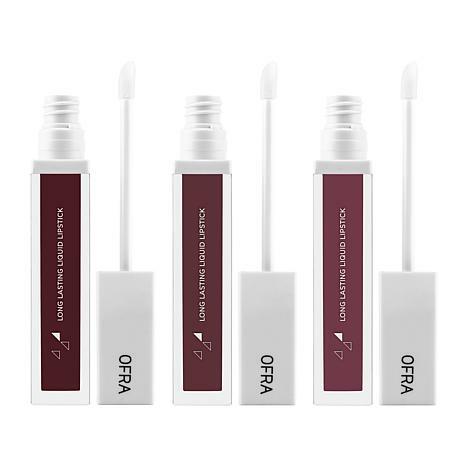 Apply your favorite OFRA Long Lasting Liquid Lipstick shade using the doe foot applicator - designed to precisely outline the lips. No lip liner necessary. Apply a second coat to achieve the true pigment of the liquid lipstick. It has a dry matte yet feel comfortable and moisturized, lasting throughout the day. FINALLY Lip Color that performs as advertised! As I age my lips seem to be getting much drier. I've been hunting for lip color that lasts and doesn't dry out the lips. HOORAY! After MANY attempts I came across this OFRA offer. I had never heard of the brand and was skeptical since it was on sale and a much lower price than many others I've tried but I'm SO glad I gave it a shot ..... LOVE IT! !